An interpretive morning prayer service infusing the traditional Shacharit service with readings, music and video about the meaning of this special holiday. Services will begin promptly at 11:30AM Eastern, lead by Patrick Aleph. Get centered with a wonderful meditation “sit” steaming live on OneShul.org. Aron, our Jewish meditation teacher, will guide us through meditations to prepare our minds and bodies for Yom Kippur. This meditation will be based on the work of Rami Shapiro and his book “Minyan”. 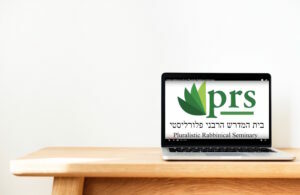 Online Torah Study on the weekly Torah portion (parshah) featuring rabbinical student Patrick Aleph. For the Book of Deuteronomy, we will be picking one mitzvah from each Torah portion (parsha) to explore in depth. Learn how to apply the message of this week’s Torah portion to your life and make new friends in our awesome online community. Join Patrick for a Kol Nidre service including a performance by Rebecca Wright! This online, Erev Yom Kippur service is a mixed media presentation of sight and sound that will move you toward the meaning of teshuva. Join us at OneShul.org at 8PM Eastern. Join OneShul.org for online High Holidays services. The final Yom Kippur service will be lead by Ketzirah, a Kohenet, Celebrant and artist. Interested in more free eBooks? Click here to download all of our books.